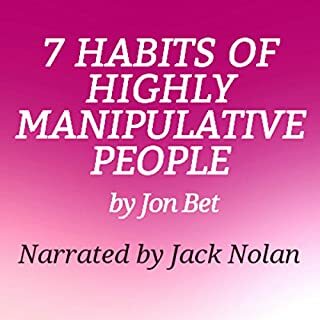 This audiobook will guide you through seven habits which are consistent across all game players, manipulators, narcissists, sociopaths, and liars. Simply by becoming aware of these habits, you'll find yourself being overlooked rather than targeted as another mark by these pernicious, intra-species predators. 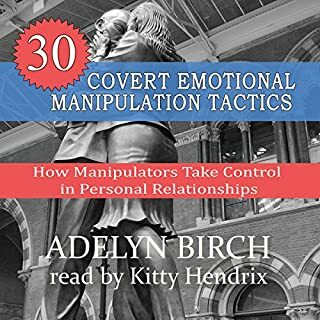 Millions of people, both men and women, can become involved in relationships with manipulators, people who control through emotional manipulation, insults, and mind games. These "toxic" relationships erode self-esteem and make life miserable for the victim. 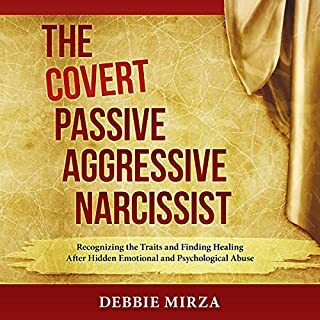 This book seeks to define the deficits that are often present in the woman who seeks out or inadvertently falls prey to a petty narcissist. The narcissist seeks out only specific types of women, and he turns a blind eye to others. There are only certain types of women who have a deficit or an overinterest in dating emotionally immature men such as narcissists. We seek to define these in order to bring a broader knowledge to those who suffer at the hands of narcissists and why narcissists seek out these types for their amusement. In The Betrayal Bond, Patrick Carnes presents an in-depth study of these relationships, why they form, who is most susceptible, and how they become so powerful. He shows how to recognize when traumatic bonding has occurred and gives a checklist for examining relationships. He then provides steps to safely extricate from these relationships. This is a book you will turn to again and again for inspiration and insight, while professionals will find it an invaluable reference work. Confusing. Crazy making. Draining. Does this describe your relationship? Do you wonder if they will ever change? Do you want to know why they lie so much...even when the truth would work better? Have you wondered why they never seem to change - no matter how much you are willing to do for them, or how much love, understanding, rehab, religion, therapy, second (or 22nd) chances you’ve given them? 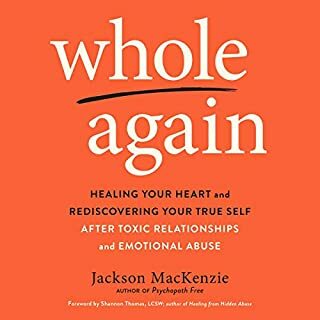 If so, you are not alone and this book is a great place to start. This book is small, but mighty. 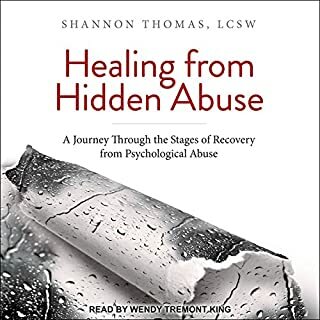 If you were involved in a pathological relationship - or you want to prevent it from happening in the first place - this book is for you. It gets to the heart of the matter of personal boundaries. Identifying and setting clear boundaries is vital for survivors and for anyone who wants to become more confident, improve relationships, and prevent victimization. When you create boundaries you take a stand for yourself and your life, and you communicate your worth to others in a real and practical way. This concise and powerful book is filled with practical wisdom and useful tips. It will walk you through the process of creating boundaries from start to finish. You get to decide how you want to live. Find your courage. Live in an authentic way. Protect yourself and what's important to you. Gain self-respect and the respect of others. Boundaries will help you do all of these things. ©2014 Adelyn Birch (P)2018 Post Hypnotic Press Inc.
it's a great book! however, it's very short though could use some expansion. the points learned were great but leaves you wanting more. Adelyn Birch gives us a pathway forward from low self-worth and ambiguous boundaries to life affirming self-definition and assertiveness. Thank you! Excellent review or first time instruction on how to form boundaries. Excellent listing of ways pathological abuse stages of development. If you could sum up Boundaries After a Pathological Relationship in three words, what would they be? I loved the book, it was an eye opener. I'm more aware of what kind of people and why do they disrespect my boundaries after this book. Confusion is gone. 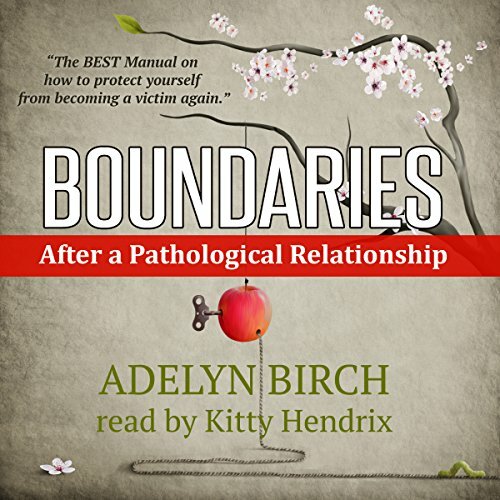 What was one of the most memorable moments of Boundaries After a Pathological Relationship? It's not me, its the toxic people who are around me. Have you listened to any of Kitty Hendrix’s other performances before? How does this one compare? I am so glad I found this book! knowing when your boundaries are being compromised, giving you a list to keep track and a list of your Himan Rights. it has helped me an incredible amount. Worth hearing again and again for good reason. My 3rd or 4th listen. Refreshers help to decide how my personal boundaries are shifting toward self-love. I like the direction my life is taking and appreciate the ability to see how much I have improved, learned and healed. What I once thought was normal is so sad. I do not consider my years with someone whom likely is pathological, as wasted time. I know my story is mine to, one day, share and show others the way to self-love and a clear mind, likely with titles within Audible.com books. The content is concise and relevant. Others' writings and ideas shared are well cited. I like that. 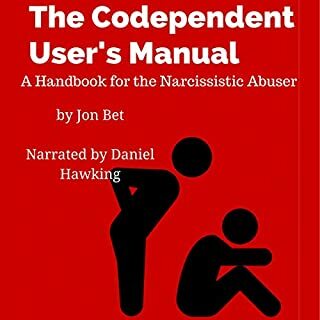 This is a good book for anyone wanting to know how narcissistic/ sociopathic/ psychopathic abuse may effect relationships and how to hold your boundaries. Survivors of this abuse may also want to dig deeper. Those who do might benefit from a long form work such as one of several books by Jackson MacKenzie. This audiobook is a concise, clear, and useful outline of this essential subject. Sometimes the absence of clear personal boundaries in one's life is a cultural or socioeconomic issue. People who are very poor and raised in one common room tend to have weak limits in many respects. Weak boundaries may be essential for their survival but can be highly offensive in a "normal" socioeconomic/cultural environment. Would be interesting to hear the author address this subject. Short, sweet, spot on and absolutely required reading! I just learned that firm boundaries provide too much of a challenge for manipulators- generally prompting them to move on. Manipulators aren’t looking for a challenge, they are looking for a victim. Tired of being a victim? Learn about boundaries- and then get some. Great book. Very interesting, informative, and helpful. I have listened to it more than once. Adleyn's book is beautifully written. Everything she talks about makes complete sense. I wish I had read it before I entered a deeply wounding and abusive relationship.